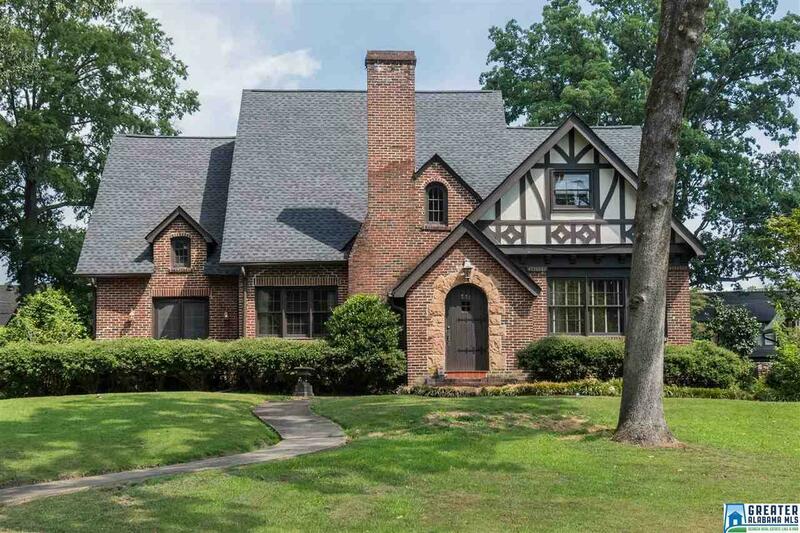 231 La Prado Pl, Homewood, AL.| MLS# 817455 | Richard Jacks UABLIVING.com 205-910-2297 | Birmingham AL Real Estate | Contact us to request more information about our Homes for Sale in the Birmingham AL area. Stunning English Tudor sitting on an oversized lot on one of Hollywood&apos;s finest streets. Main level features lovely formal living room with F/P and built-ins, nice size sunroom/study and a large dining room. The kitchen opens to a spacious den/keeping room with a laundry room conveniently located on the main level. Master suite is very nice and is also on main level. Upstairs finds a common area, 3 brs (one with a private bath) hall bath and much storage in walk in attic areas. Walk straight out to a level yard with beautiful stone work and patio. The 2 car garage is another bonus! This home is charming with it&apos;s high ceilings, built-ins and hardwood floors. It is a must see! AC systems replaced 7/2018. Roof to be replaced in the next few weeks.